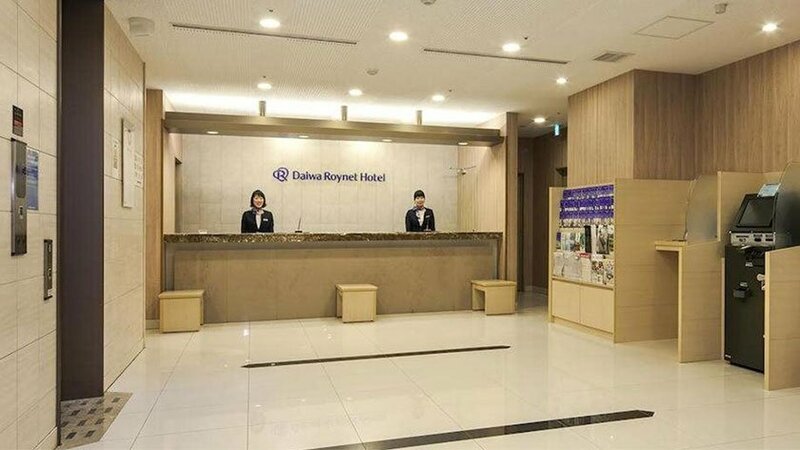 Daiwa Roynet Hotel Hiroshima is located conveniently in the center of Hiroshima by Chuden Station. Guests can enjoy Japanese cuisine at the on-site restaurant, Yayoi-ken, and free Wifi throughout the building. The front desk is staffed 24hrs and a convenience store is available on the first floor. Each room features a flat screen TV as well as a kettle, slippers and a hairdryer. 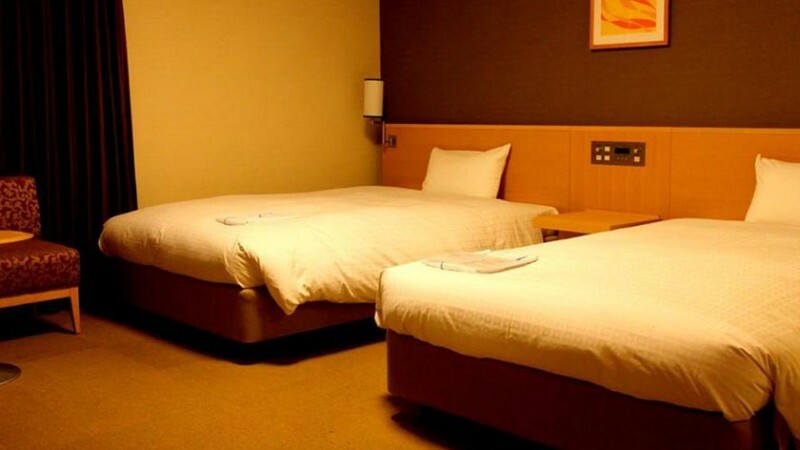 The hotel is just 600 meters from Hiroshima Peace Memorial Park and 900 meters from Atomic Bomb Dome. The International Conference Center Hiroshima is also within walking distance. 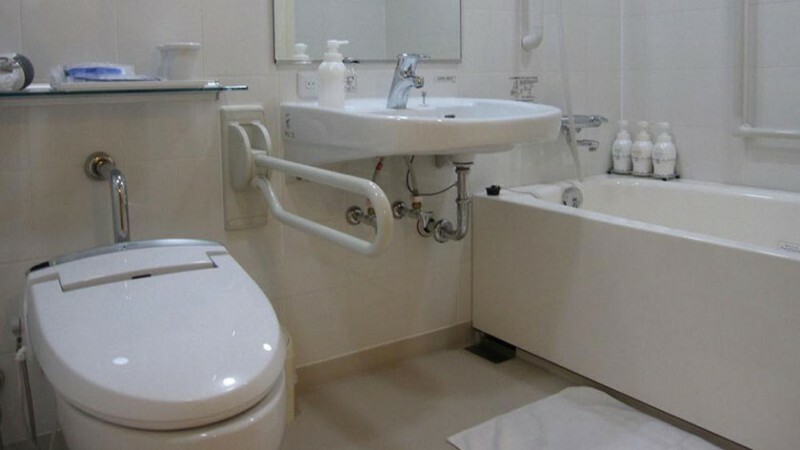 The hotel has 5 wheelchair accessible twin rooms, called “Universal Twin”. 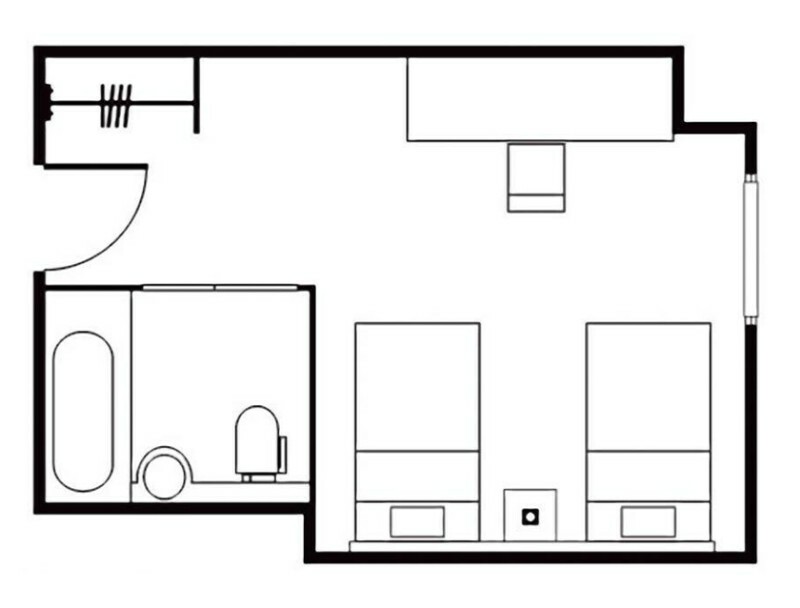 Each room has a door that is 80cm wide and 30.2㎡ of floor space. 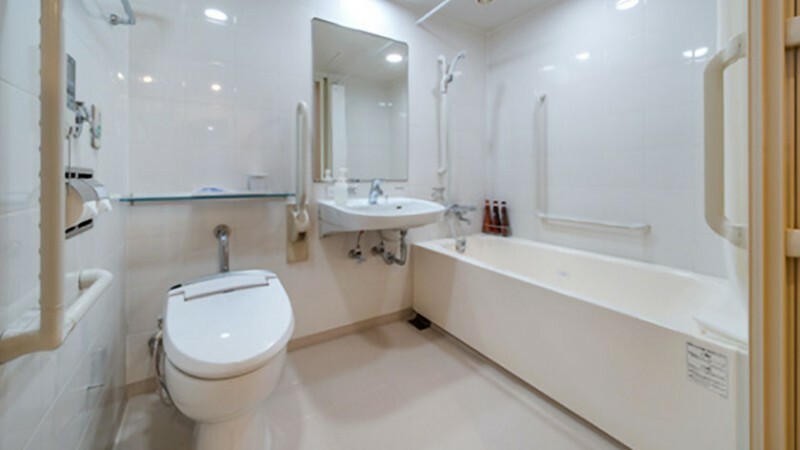 The bathroom has a 110cm wide sliding door and plenty of grab bars. There is no roll-in shower but since there is a drain on the floor it is possible to shower next to the bathtub. The accessible rooms are only listed on Japanese version of the website. See the Photos tab for pictures and room layout.